Another notch under the Anybus Communicator's belt as it successfully proves that a WEG SSW06 Soft-Starter (that speaks MODBUS) can be connected to a PROFINET network. 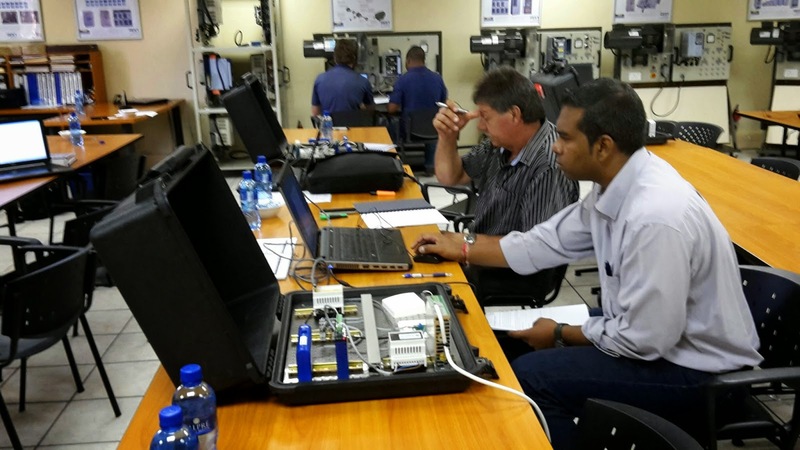 IDX presented free Anybus Communicator training at ZEST WEG Group in Johannesburg, South Africa, and attendees are always encouraged to bring their own devices to see if the Anybus Communicator will work for their application. 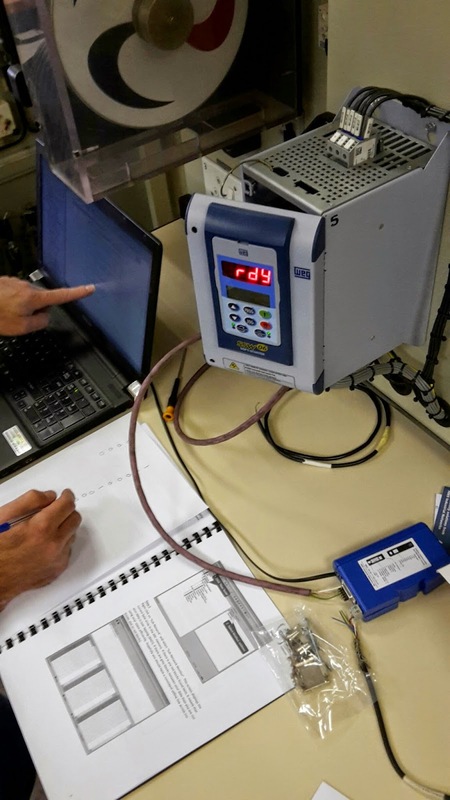 The training ended in proving practically that the SSW06 Soft-Starter with a MODBUS RS485 interface could be enabled to appear as a PROFINET device. The training itself is made up of a theory portion that introduces the Anybus Communicator and covers some basic MODBUS theory. In the practical portion, the delegates configure the Anybus Communicator to talk to a MODBUS slave simulator program on a PC connected through the Anybus Serial Server. Once they are comfortable reading and writing registers, they move onto the real stuff: Reading a temperature from the Netbiter IO Extender which is a real MODBUS slave. They should then feel comfortable enough to connect and configure the gateway for their own device. The gateway used was the AB7013 Anybus Communicator for PROFINET, but it was explained that the same MODBUS configuration on the Communicator could be used for applications in DeviceNet, ControlNet, MODBUS TCP, Ethernet/IP, PROFIBUS, CANOpen, CC-Link, EtherCat and most of the other industrial communication protocols. Feel free to visit www.anybus.com for a complete list of protocols they can do. If you can't find your protocol, contact IDX - they have a long history of legacy and "strange" protocol conversion solutions. Time also allowed for discussions on how to monitor MODBUS devices remotely using the Netbiter range from HMS. And, what would a demo be without showing the ProfiTrace software to check the health of a PROFIBUS network? 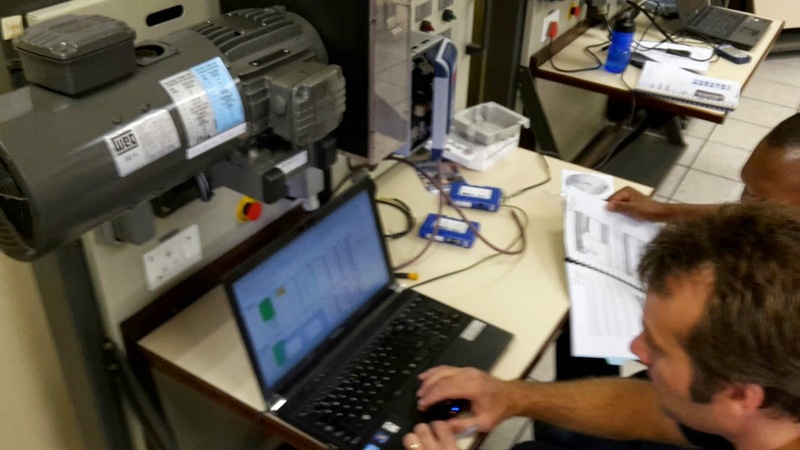 Often communication problems lie with the physical installation of the PROFIBUS or PROFINET network (and other protocols too) so having the right tools, and training, is essential for the vendor and the customer. Feel free to contact IDX for more information on industrial-communications-certified training and test equipment. The tricky part is making sense of the data that you are receiving, but fortunately, the Anybus configuration software displays the data in a live format so that the user can compare the results with what is happening on the slave. It helps to have the documentation of the slave that you are trying to connect handy. It it should show how to change the communication settings (baud rate, parity, etc) and have a MODBUS register table. IDX host free training at their premises in Fourways. Visit the IDX Website for the latest training schedule and to book your seat. Fantastic Work and now ZEST know where to come if they have communication challenges. The HMS portfolio opens many doors when coupled with some local-know-how.